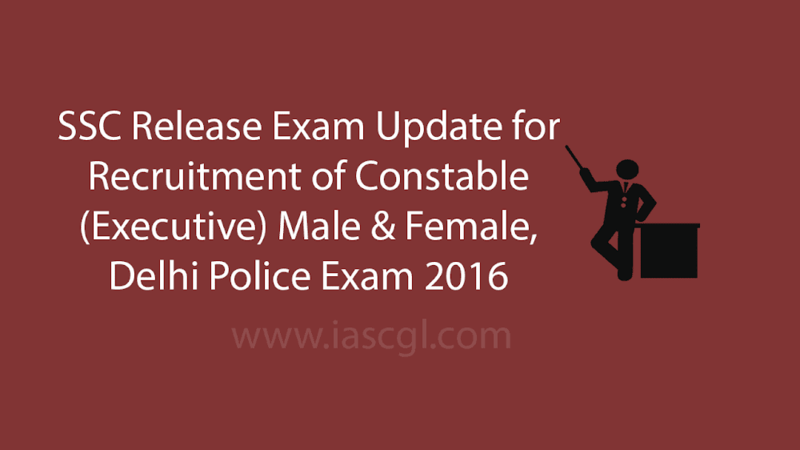 The Staff Selection Commission is conducting the examination for Recruitment of Constable (Executive) Male & Female in Delhi Police-2016, in the computer based mode from 05-12-2017 to 08-12-2017 at 121 venues in 57 cities throughout the country. 1,95,857 candidates are scheduled to appear in the said examination. Today i.e. 8.12.2017, is the last day of the examination wherein 40,422 candidates are to take the examination in 55 venues in 8 Cities. On the first three days of the examination i.e. from 5.12.2017 to 7.12.2017, as against 1,55,435 candidates who were scheduled to take the examination, 1,44,814 candidates actually appeared in the examination, registering thereby an overall attendance of 93.17%. The examination is being conducted seamlessly under strict surveillance. So far, seven cases of examination related malpractices have been observed. In five cases, candidates were apprehended with electronic devices during frisking before the start of the examination, while in the case of the remaining two candidates (one in Madhya Pradesh and one in Punjab), who were caught indulging in examination related malpractices during the conduct of the examination, FIRs have been registered against them.